Thanks for the explanation, I deleted the existing medeek_lumberpt within the material tray and updated the walls and now have the new color. Unfortunately, it appeared to me (and I am sure most users to come) that the material tab under global settings isn't working and you might have to explain why many times over. It almost seems as though the material tab under global settings needs to be disabled after the first wall is built, after all, once the first wall is built you can no longer edit colors since the old colors exist in the material tray. Since there is an easy work around, I am not sure this enhancement is worth it but if so, it would seem to be a low priority given all the other major features being rolled out. Without looking at your materials pane (tray) in SU I can probably guess that the plugin has already created a material called medeek_lumberpt and it is the default pressure treated color. 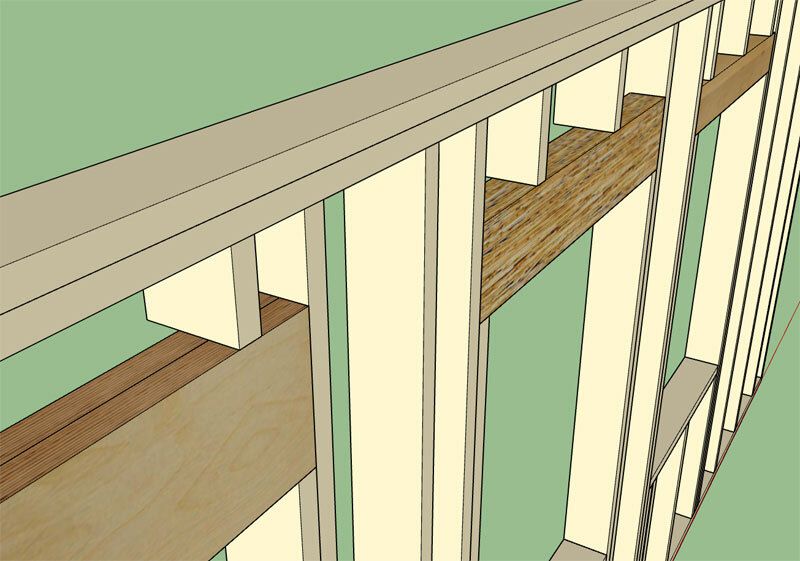 The plugin will create the lumber and pressure treated lumber materials the first time you create a wall. Once the plugin creates a material it does not try to overwrite that material if it exists. The upside to this is that if you as the user decide to manually customize one of the materials after the fact the plugin will not blow away your changes. The downside is that if you change any of the default colors they will not take affect unless you trigger the plugin to do so by removing or renaming the existing material. Remember the plugin will check for the existence of the material and if found it will not try to create it or recreate it. In order to have the plugin overwrite the medeek_lumberpt material the easiest thing to do would be to delete it or rename it in the SketchUp tray and then regen your walls. P.S. You can set the default color in the global settings and it will take affect with your next model. 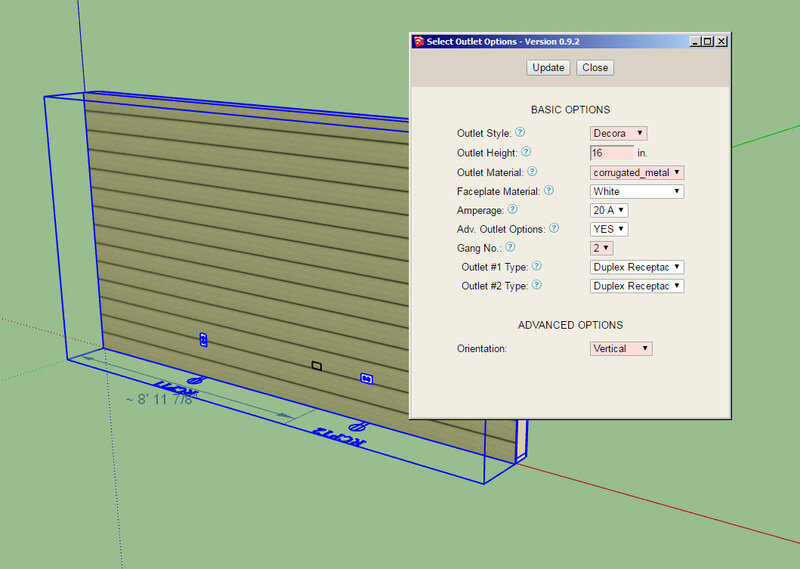 Alternatively you can also just manually edit your materials in the model within the SU tray. Again, once a material has been created by the plugin it will not try to recreate it unless it can't find it. Rather than having to regen all of your walls, just edit the medeek_lumberpt material and you are done. If you need to go back later and change it up again, then yes, that is not a problem. Can't seem to get the pressure treated plate to show up dark green. I changed it within global settings as shown and a selected yes for PT Bottom plate within the Draw Rectangular Wall Assembly dialog. No big deal but wanted to get it reported if it is indeed broken. Looks great, bright red is good for me as I want it to stand out and get my attention. I think this would work equally as well on the global settings popup windows, basically anywhere that a change has been made but not yet saved. I think a slightly different shade of red though, its a bit red for me, thoughts? When you change any of the parameters it toggles the input to red. When you click the Update button they all become white again. Within the "Draw Rectangular Wall Assembly" dialog (for that matter any dialog with an "Update" button), consider changing text to a red color when a parameter has been changed but before the "Update" button has been pressed. In this way you can see all the changes you have made before hitting "Update". Red text also indicates that if you start to draw a wall, then you are not using the "red" updated parameter. Hopefully this is the right place to recommend enhancements?